Last week’s sermon hasn’t left my mind much since I heard it. The focus was on 2 Corinthians 5:14-16, 19-20. “Either way, Christ’s love controls us. Since we believe that Christ died for all, we also believe that we have all died to our old life. He died for everyone so that those who receive his new life will no longer live for themselves. Instead, they will live for Christ, who died and was raised for them. So we have stopped evaluating others from a human point of view. At one time we thought of Christ merely from a human point of view. How differently we know him now! Christ’s love should control us. Not influence us, but CONTROL everything we are and do. We are ultimately here to help people know Jesus and to see them as He sees them. We are ambassadors entrusted with this great work! We wonder if we’re accomplishing that which we are here to do, and we often allow that question to cause unnecessary anxiety and fear. “What is my purpose? What if I never find it?” We allow that to drive our choices and actions. I know people who have left their “secular” career to do something more “spiritual” while missing the fact that God needed them exactly where they were to be a light for Him (#MissionalLiving). Who has God placed in our sphere of influence? Our family, friends, neighbors, and coworkers are our purpose here. Most importantly, we should never pursue the “what” at the expense of the “who” because EVERYTHING we do is just an excuse or a platform to lead others to Jesus. Everything. We all have gifts and strengths and we have roles to play with those gifts and strengths; and we all have stories that others need to hear. God can use any job, any situation for His purposes, if we allow Him to do so. In closing, he encouraged us to ask God to breathe mission into our current life and circumstances instead of asking Him to change them, to be content with the what and focus on the who. Lately I’ve been struggling with being content with the sales of my book. Numbers. Rankings. Influence. This part of my journey has not gone as I expected. Before it went to press, I had a modest goal in mind, one that I deemed easily – and quickly – attainable. I poured my heart into telling Tori’s story and it is the most vulnerable thing I have ever done. Her life and the lessons learned from her life matter and I just knew that I would sell thousands and thousands of copies! As of today I have only reached 10% of that goal. Ten. Of course, I’m humbly thrilled that ANYONE has wanted to read it, and each sale means that someone new has learned about Krabbe, about Tori, and about our Heavenly Father. THAT is what matters. But, if I am honest, I am also disappointed because I thought I would sell more given the number of people who have followed Tori from the beginning. I’m human, after all. Pride sneaks in when we least expect to see it. I worked hard on the book and emotionally invested myself in it, so I obviously want it to “succeed” in terms of high numbers. But is that success? I had been trying to brainstorm how to increase sales, how to market it on a greater scale (with zero dollars) in order to get the numbers up. It began to consume my thoughts (when I wasn’t caring for babies). Do I really trust the God of the universe to put my book in the hands of those who truly need the message? Is it about the number sold or about the soul reading it? As one of my favorite songs says, “You’ve brought me this far, why would I question You now?” He opened the doors for it to be published, but do I trust His intentions? Yes. I just needed to be reminded, to refocus. It’s not about numbers, it’s not about selling millions (though that would be incredible): it’s about my obedience in telling our story and allowing God to use it as He sees fit. Him, not me. It’s so much more than just book sales. My book is just another way – not the only way – God is using my circumstances, my story, my faith, and my life to reconcile people to Him. I have to remember this. Daily. And whenever I am tempted to be concerned with the numbers (often), I need to surrender it all to the One who is in control. And I need to pray that He will continue to use my life for His Kingdom and glory. I found out that I was pregnant on December 6th, 2013. This was welcomed news, but in the back of my mind I was wondering how this was going to impact my ability to serve in Guatemala just two months later. I knew that I would be in the beginning of the second trimester when we left, so in theory I would be feeling well enough and would have the energy to serve; but, I also knew that pregnancy places restrictions on a woman and makes her more “high maintenance” than a non-pregnant woman, so I wasn’t sure what I’d be able to do. I spoke with one of our team leaders about it and she assured me that there would be plenty for me to do that would still allow me to take care of my baby. What I didn’t realize at the time was that God was planning to use me in a way I never would have expected. I discovered last summer that my dream job was to do photography for missions organizations…to tell the stories that need to be told and to inspire people to act. …but I didn’t go to Guatemala thinking I would be able to do much with it. We had a full and exciting schedule of service and I was ready to jump right in alongside the team. I hoped that I would be able to take pictures along the way, but it was in no way something I expected to be able to do. When we got to Guatemala and were talking through the projects for the first few days, our leaders mentioned that they (and many of the team members) wanted shots of several of the group activities that would be going on simultaneously and asked if I would focus on capturing everything for the team during this trip. I was amazed, humbled, excited, and ready to dive in. I couldn’t believe that I was being asked to use my passion, my gift, my dream to bless the team in such a unique way. Because I was taking pictures for everyone, they were able to focus solely on ministering to the beautiful children in our care. They were able to set their cameras aside when necessary in order to just be in the moment, while I did something that I love to do and could do even while pregnant. I may have been unable to help paint the bedroom or the hallway at Mi Pequeno Refugio. I may have been unable to lift things and carry boxes of food. I may have been unable to be outside at The Ravine due to the burning trash and smoke. 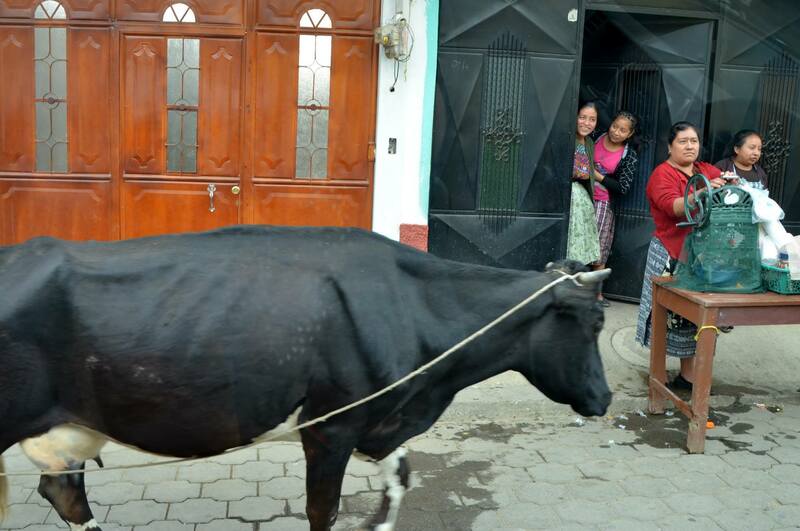 But, I was able to use my gift to capture the team doing all of these things while still serving the Lord in Guatemala, just not in the way I had planned. Thank you, Ronne and Courtney, for seeing this gift in me and allowing me to use it. Thank you, team, for being so supportive and excited about what I was capturing. I came home with over 5,800 images of our week. I’m currently down to 3,800 images with the promise of a snow day tomorrow during which I can edit. This experience gave me a glimpse of what it really would be like to do photography for missions organizations, and it confirmed in my heart that this is what I was made to do. I can’t wait for what God has in store for me next! We had been told about The Ravine. We had been briefed on what we should expect and the few things we should/shouldn’t do while there. But, words can only go so far; some things have to be seen, touched, smelled, experienced for full impact to occur. The Ravine is one of those things. 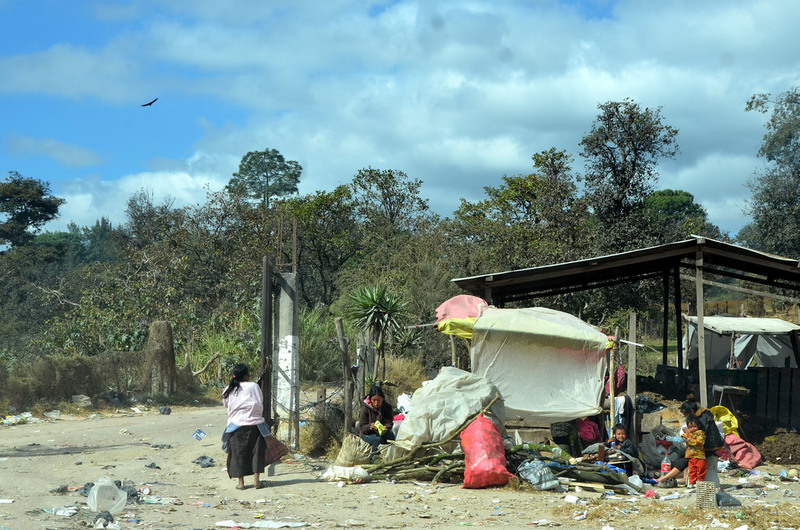 The Ravine is a garbage dump in Chimaltenango. There are over 50 families there who live and work among the heaps of garbage, hoping to scrape a living out of the waste of others. Our team traveled there on Friday morning to bring small bags of staple food items and soap to 50 of these families and to pray with them. Their situation seems hopeless. They have been stuck in the cycle of poverty for generations, with seemingly no way out. Each day is the same: work until dark, hoping to find treasures that can be reused/cleaned/recycled and sold to buy food for their families. Hope doesn’t seem to exist here at first glance. However, we have seen first-hand that God is indeed redeeming and restoring these people, starting with their precious children. We saw hope in the eyes of each person with whom we prayed and spoke that day. We saw hope in the eyes of their children when we visited them later that day. He is literally taking them from the ashes and making them new, opening doors to a life they never dreamed would be possible. And this is all because of the love of two precious people: Cesar and Carol. Cesar and Carol decided that they needed to open a school for the children of The Ravine – a school where they could break free from the cycle of poverty and literally change their community forever. That’s how The Ravine School was born only a little more than a year ago – completely out of faith in God. Carol and Cesar did not have a “nest egg” or any riches to speak of, but they believed in a God who redeems, and had faith that He would rescue these children. There are now 114 children in The Ravine School who are learning to read, write, use computers, and grasp their full potential instead of carrying on the work of their parents and grandparents in the dump with no hope of escape. From a one room building to a beautiful space with classrooms and plenty of light in only a year, God’s redeeming love and faithfulness is abundant in this place. – Gungor’s “Beautiful Things” (lyrics throughout post) is the perfect song for what God is doing at The Ravine…Hear the song here. The color and lighting are imperfect due to shooting from inside a vehicle (in order to avoid making the families feel uncomfortable), but these images still show how God is continuing to make beautiful things out of bad situations. Stay tuned for more about The Ravine School and the beautiful things happening there. Tomorrow’s the day! I can’t believe it’s already been six months since I began preparing for this journey. I cannot thank all of you enough for your support, prayers, and encouragement! Between your financial generosity and all the supplies you so generously provided, I’m fully-funded and taking FIFTY POUNDS of supplies with me! For updates on our trip, you can check out this blog and I will also try to post updates on Facebook when possible. Sunday, February 2nd – Team arrives in Guatemala City and prepare for ministry (shopping, orientation, supply sorting, etc). 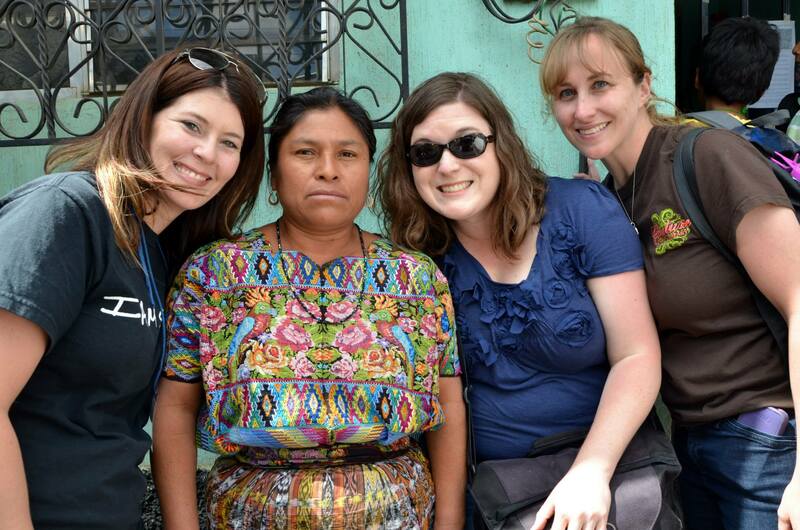 Monday, February 3rd – Team travels to Xela and meets children at Little House of Refuge. There will be cooking classes for the older girls, a cardboard boat regatta for the boys, and playtime for the younger girls. Tuesday, February 4th – Team serves at Little House of Refuge (project work and teaching in the morning and time with the kids in the afternoon). Wednesday, February 5th – Team travels to Antigua (a 3-5 hour journey), and has an afternoon of respite before preparing for ministry on Thursday. 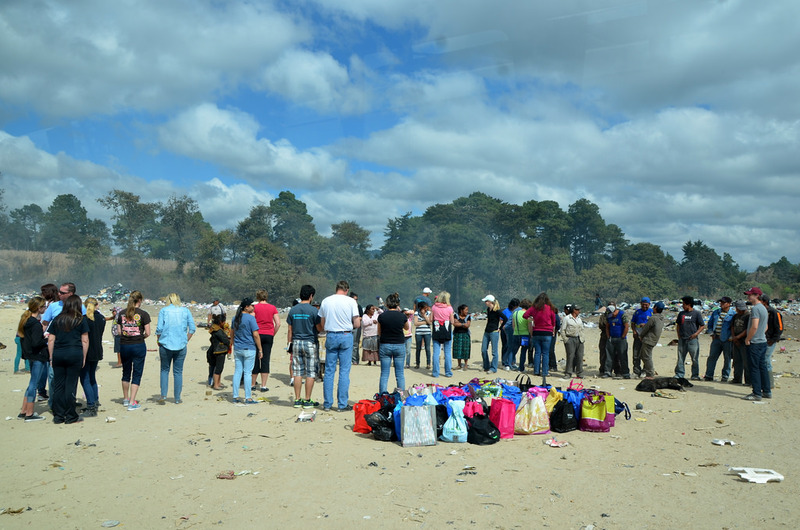 Thursday, February 6th – Team distributes food and shares the Gospel at a local garbage dump called “The Ravine” in the morning in Chimatenango (a 45-minute journey), and spends time with the girls at Mi Especial Tesoro in the afternoon. Friday, February 7th – Team serves at the Ravine School in Chimaltenango in the morning, and spends the afternoon with the girls at Mi Especial Tesoro. Saturday, February 8th – Team serves alongside girls of Mi Especial Tesoro, ministering to the elderly at Cabacitas de Algodon in the morning, followed by a special farewell lunch. 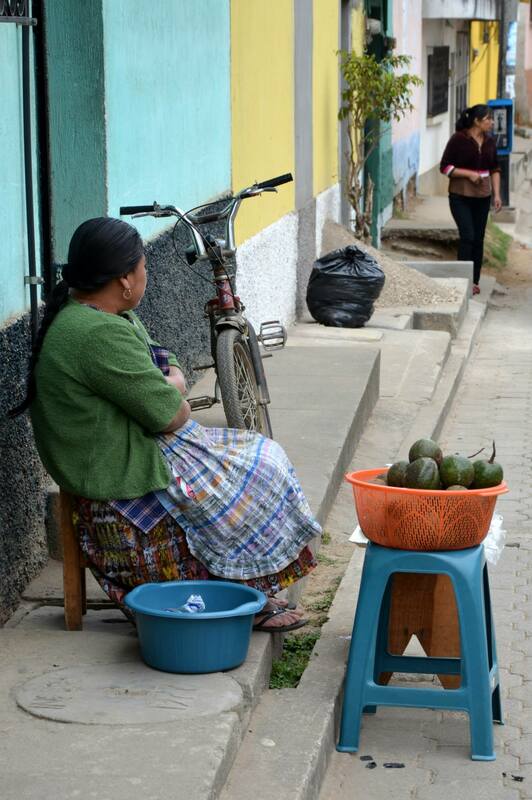 Team returns to Guatemala City in the afternoon. Saturday, February 9th – Team returns to the United States. Pequeño Refugio is a private orphanage run by sisters Lourdes and Teresa. This Christian children’s home houses up to 70 kids at a time ages 4 – 18. All of the children that reside at “Little House” have been removed from their families due to abuse of some kind. In addition to the home, there is a school on the property. In addition to education, each child receives psychological counseling and Bible teaching. These children are amazing when it comes to Biblical knowledge – chances are, they’ll be able to recite all the scriptures we’ll use in our time with them! 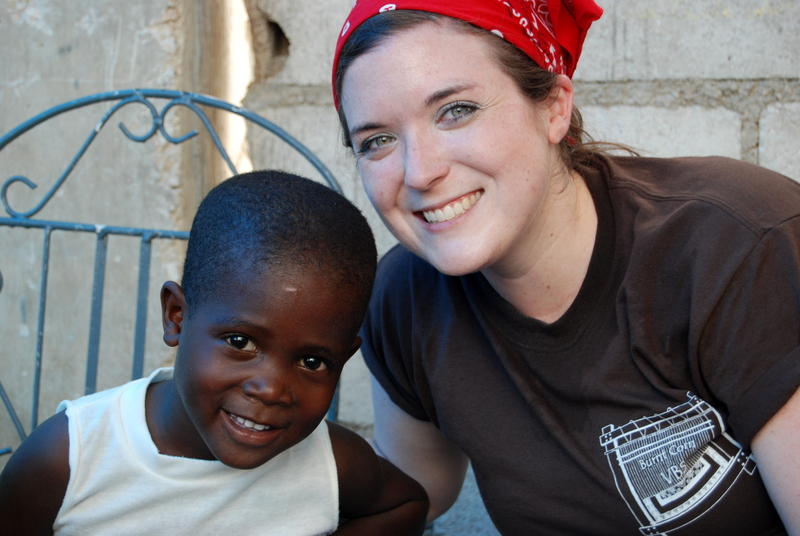 Courtney and Ronne (the team leaders) have considered Little House our “home away from home” since 2009, when we were privileged to be a part of the first team of missionaries to visit the orphanage. Orphan Outreach “adopted” Little House that same year, and now church teams from all over the US have answered prayer after prayer. These teams have done construction & painting, helped provide livestock and clean drinking water, taught job skills, established a sponsorship program, and most importantly, just spent time loving on kids. Houseparents Cesar and Carol provide a loving home for 13 teenage girls as well as an 18-year old daughter and 9-year old son of their own. Tesoro is a private Christian girl’s home where the girls receive biblical guidance, emotional support, and stability to aid in their healing. The girls in this home have been removed from their families by the court system due to abuse or neglect. Orphan Outreach just celebrated their first anniversary ministering to Mi Especial Tesoro, and we have been blessed to be there every step of the way so far. In just a year, tremendous work has been done to provide improvements to living facilities, give the girls much-needed personal items, build a sponsorship program for ongoing care and support of each girl, and establish a loving, nurturing relationship with everyone there. The Ravine School serves the children of the families that work in the city of Chimaltenango’s garbage dump, which is located in a ravine outside the city. The school was created in the minds and souls of the Mi Especial Tesoro caregivers, Carol and Cesar. The school started from an effort to teach the girls of My Special Treasure about serving others. In 2012, Carol and Cesar starting bringing the MST girls to the ravine dump to assist the children and families each Saturday. Around 100 people work at the ravine dump everyday, searching and sorting for things they can re-sell at the market on the weekends. 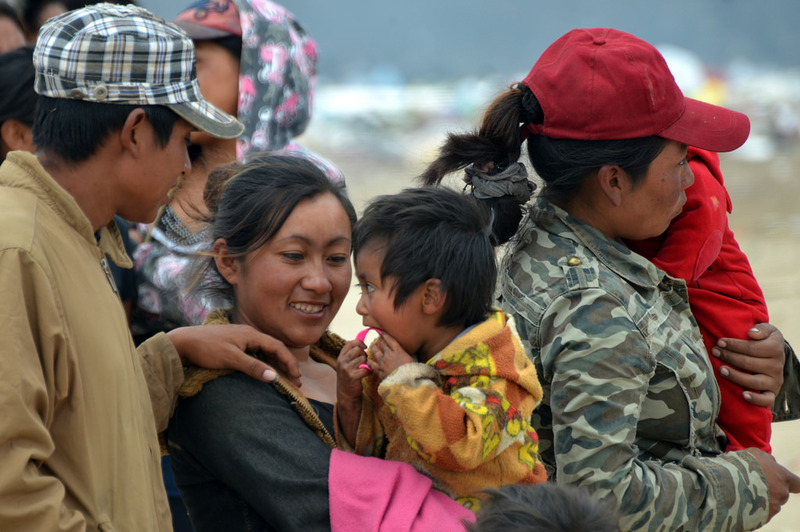 These families work from 12 to 14 hours a day of work making roughly between 3 to 4 US dollars a day. Their job is difficult, but it is worthy of admiration and respect because these parents work hard to be able to provide for their children in an honest and worthy way. Just a short walk from the center of Antigua, this nursing home provides a place for elderly residents that would otherwise be homeless. Many of the residents either have no family to care for them or have been dropped off because their families don’t have the resources to provide basic necessities. Though our visit will be brief, it will bring joy to the residents who are happy to see friendly faces. Please pray for our team as we serve the beautiful people of Guatemala. We are all excited and can’t wait to see what God does in and around us this week. Pray that we will be flexible and open to whatever God has in store! Please also pray that God will work in my heart this week in mighty ways. 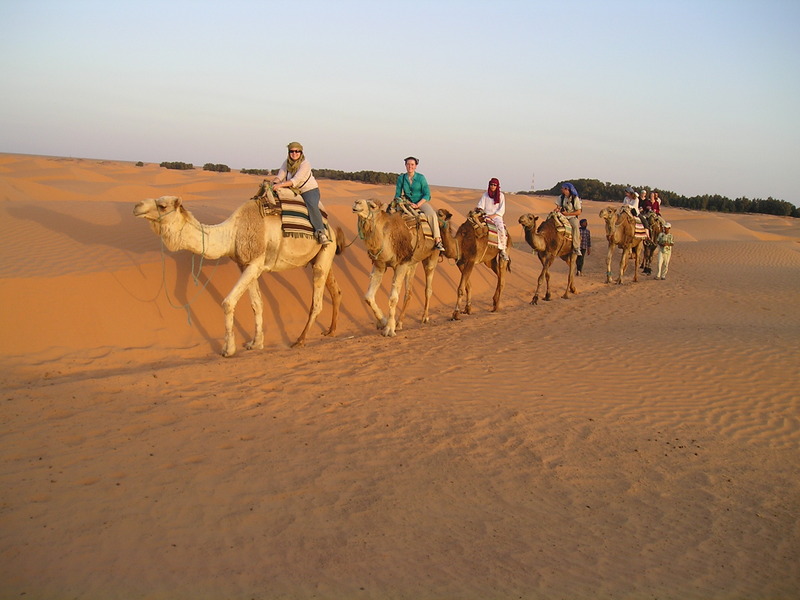 Being a missionary overseas often means putting your life at risk in one way or another. It isn’t easy, and it definitely isn’t for the weak. But we often have pictures in our heads of missionaries living an idyllic life, far from harm, and having great success in their ministries all the time. While that might be true in some cases, this book focuses on the realities of ministering in the tough places. 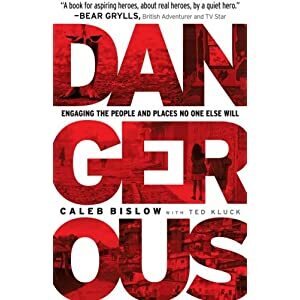 Dangerous by Caleb Bislow is fascinating and filled with adventure. Caleb is no ordinary missionary – he travels to the most extreme places following the Lord’s leading, and his stories will keep you engaged! This book definitely challenged me because, like most people, I like being comfortable and playing it safe. But there is also part of me that longs for adventure, that longs to go to distant lands to tell people about Jesus even if it is dangerous. Read this book and allow God to use it to challenge you. This isn’t everyone’s calling, but we can all learn from Caleb’s mission and testimony and apply it to our lives. 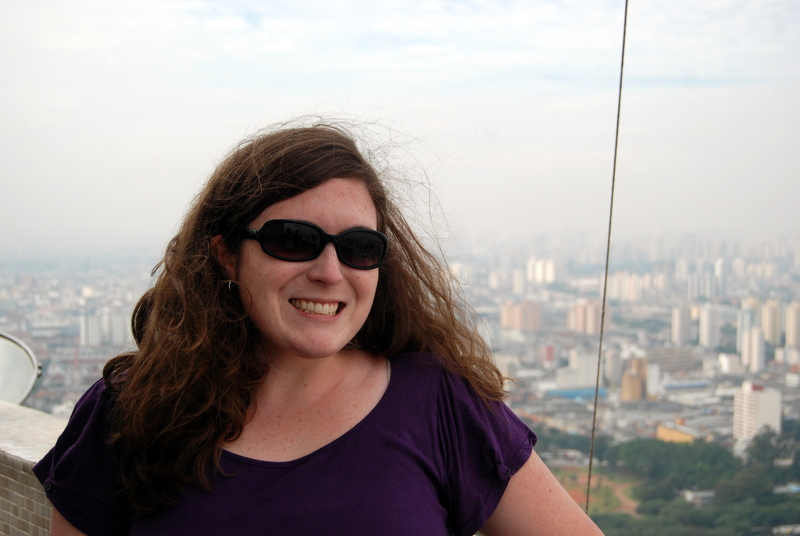 Day Twenty-One: I’m Thankful For…Traveling. Preface: Last year I decided to express my thanks during the month of November for something new each day, as so many others have done before me. I never finished this series, so that’s my goal this year. I am re-posting the ones I wrote last year and adding new ones. This was originally posted on 11/21/12 (with slight changes made today). One of my greatest passions is traveling and exploring God’s beautiful and wondrous creation. God has blessed me with opportunities to travel to three continents, six countries, and thirty-eight states in my first thirty-one years of life. I love experiencing new cultures…learning from them…enjoying them…photographing them. There’s a whole lot of the world left to see (including Guatemala in February! ), and I can’t wait to experience it with Brennan!